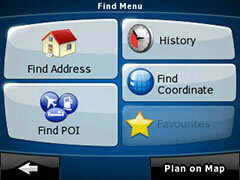 iGO 8 is one of the best and most popular applications for GPS navigation. 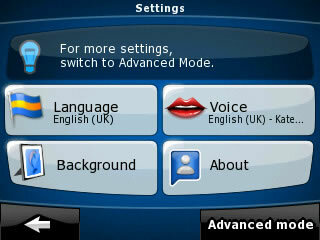 It is available in Ukraine since April 2008. Software functions include route planning and detailed turn-by-turn voice guidance along the route, convenient address and POI search, POI import function, and much more. The interface is attractive as well as convenient, and includes two user modes: the “simple” mode for novice users and the “advanced” mode for the experienced ones. The software represents real-life 3D navigation with three-dimensional buildings, landmarks, land elevation and other objects. 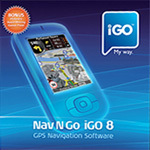 iGO8 Europe features door-to-door navigation throughout Europe (45 countries, including Ukraine); maps of additional countries can be purchased optionally. 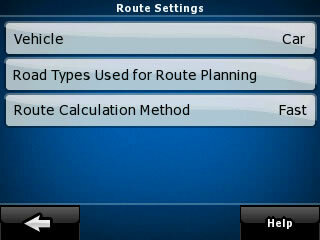 A route between different regions or countries is calculated automatically, there is no need to switch maps at state or regional borders. 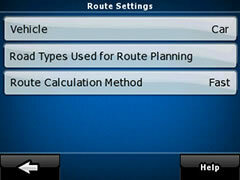 Route calculation takes no longer than several seconds. Having an easy-to-use friendly interface, iGO software is very easy to learn. Every function or setting can be accessed through no more than one or two screen taps, regardless of where you are within the program. The application has a smart keyboard with big keys, convenient for typing with fingers. After the first letters of a city or street name have been entered, only the available ones stay active, so that the search can be continued among the existing names only. Thanks to this function you will be able to find the necessary address, POI or an earlier saved destination quickly. 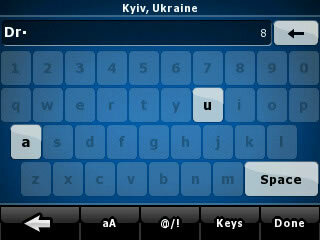 The map of Ukraine is available in the Ukrainian, English and Russian languages, the maps of other countries are available in English and the corresponding local language. A map is displayed in the chosen interface language if it is supported by the map; otherwise, it is displayed in English. A search could be performed in any language a map supports, independently of current interface language. Voice guidance language could be chosen independently of interface language. You only need to set a destination, and the program will automatically decide which roads to choose, taking into account road signs, lanes, intersections and road priority. You can create a route through the necessary number of intermediate points which will be the quickest, the shortest or the most economical. 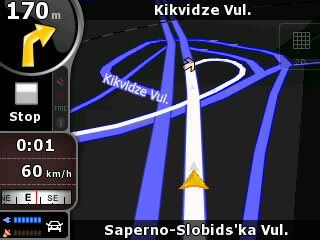 In the case of any deviation from the recommended route the software will automatically calculate a new route for you. 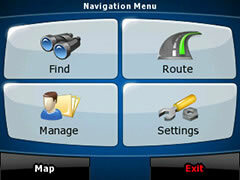 The software allows to choose vehicle type (a car, a bicycle, a pedestrian etc.) and exceptions (unpaved roads, U-turns etc.) for optimal route calculation. During your trip you will be able either to use a high-quality 2D or 3D map, or to rely on timely and precise voice commands. 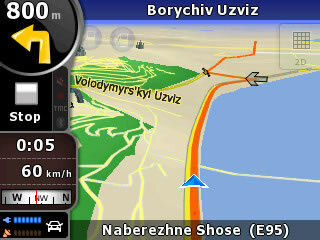 The Smart Zoom system will add pure joy to your navigation experience! 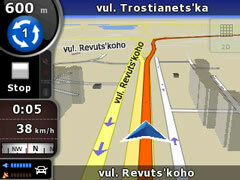 It automatically zooms and tilts the map gradually so that the user understands which manoeuvre to perform the next. New navigation solutions have been successfully combined with the updated design. Now traffic direction for one-way streets and roads is indicated on the map. iGO developers have paid special attention to make the software screen not only good-looking, but also easy to read under any conditions. With this purpose a function of automatic Day/Night Mode switching at sunrise and sunset is integrated into the software. High resolution VGA mode gives you the visual experience of traditional paper maps on a computer screen. Various colour styles let you personalize the look and feel of the maps. In addition, you can choose between vertical and horizontal screen orientation on any compatible devices, regardless of the operation system. The main feature of the new version is realistic 3D navigation, including models of buildings, land elevation and other objects. The software allows to rotate the map through 360 degrees for a more convenient map view on the device screen. It is possible to choose the “advanced” mode with a variety of settings, allowing to create routes manually through several intermediate destinations, to create one’s own Points of Interest and so on, or the “simple” mode for novice users, which makes software use easy even for an inexperienced person. Address search is very simple and convenient; it is possible to choose keyboard language out of several available ones independently from the chosen menu language. It is possible to choose, for example, “the city centre” as destination. POIs – fuel stations, pharmacies, shops, hotels etc. – can be searched not only by name and address, but along the route or around a chosen address or point on the map as well. 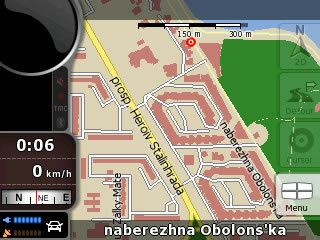 The software helps to determine the distance to a point and find the best way to get there. Each POI has its own “information card”. In addition, there is a POI import function (in CSV format). Voice guidance during navigation allows to concentrate your attention on traffic and road conditions without risking to take the wrong way. A new speech synthesis is used in the software: now there are 50 voice variants in 30 languages, including 2 variants in Ukrainian and 2 variants in Russian. Albania, Andorra, Austria, Belgium, Belorussia, Bosnia Herzegovina, Bulgaria, Croatia, Cyprus, Czech Republic, Denmark, Estonia, Finland, France, FYROM, Germany, Gibraltar, Greece, Hungary, Ireland, Italy, Latvia, Liechtenstein, Lithuania, Luxembourg, Malta, Moldova, Monaco, Montenegro, Netherlands, Norway, Poland, Portugal, Romania, San Marino, Serbia, Slovakia, Slovenia, Spain, Switzerland, Sweden, Turkey, Ukraine, United Kingdom, Vatican City. Any in-built or external GPS-receiver supporting the NMEA-0183 protocol with a Bluetooth connection can be used.